Here’s a recipe sent in from reader, Nina Mako. 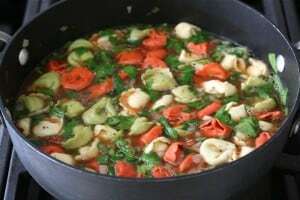 In saucepan, bring sugar and water to a boil, stirring frequently, until sugar is dissolved. Remove from heat and let stand for 5 minutes. 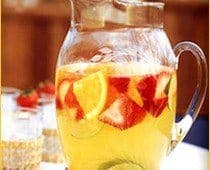 In large pitcher, combine sugar mixture, wine, and liqueur and chill for several hours. Just before serving, add soda and fruit, and garnish with mint leaves. Serve over ice. Out of this world! Cheers!. Thanks to those of you who have been sending us your recipes. 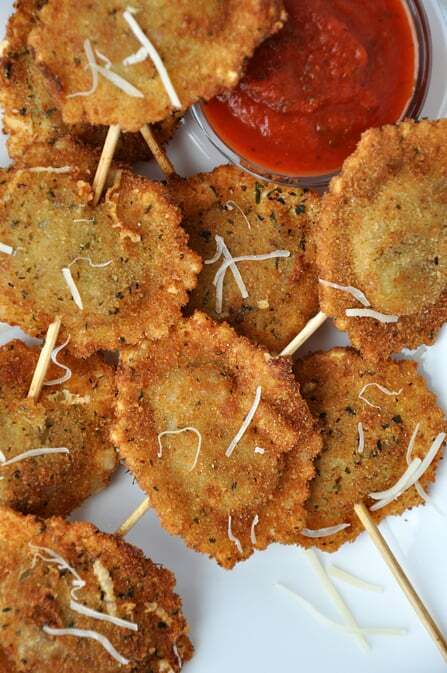 This latest one is for deep-fried ravioli on a stick. Enjoy and don’t forget to share your favorites with us. Email Jack at jack@ciaopittsburgh.com. Once oil reaches 350ºF, carefully place skewers in pot, two at a time, and fry about 4 to 5 minutes. Drain on paper towels and sprinkle with remaining ¼ cup Parmesan. Serve warm, with marinara sauce. We came across a great essay written by Frank La Rosa from L’Italo-Americano Newspaper recently. Here’s the piece in its entirety. Whenever I smell Italian tomato dishes being prepared in the kitchen, I immediately think of basil, or basilico. Italian cooking and the herb basil are inseparable. 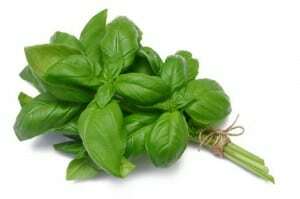 Basil, or Oncimum basilicum derives from India where it is very highly revered. The Indian “Holy Basil” is used in many religious ceremonies. In Rome, orators put a leaf of basil in their mouths to give their words sweetness and truth. In fact, the Roman and Christian basilicas take their names from the same root word, the Greek “basilikon,” which means the place of royalty. And of course, there is the area in Italy called Basilicata on the instep of the peninsula.Basil or basilica is one of the most popular and easiest of herbs to grow. It does like warmth, good earth and ventilation.